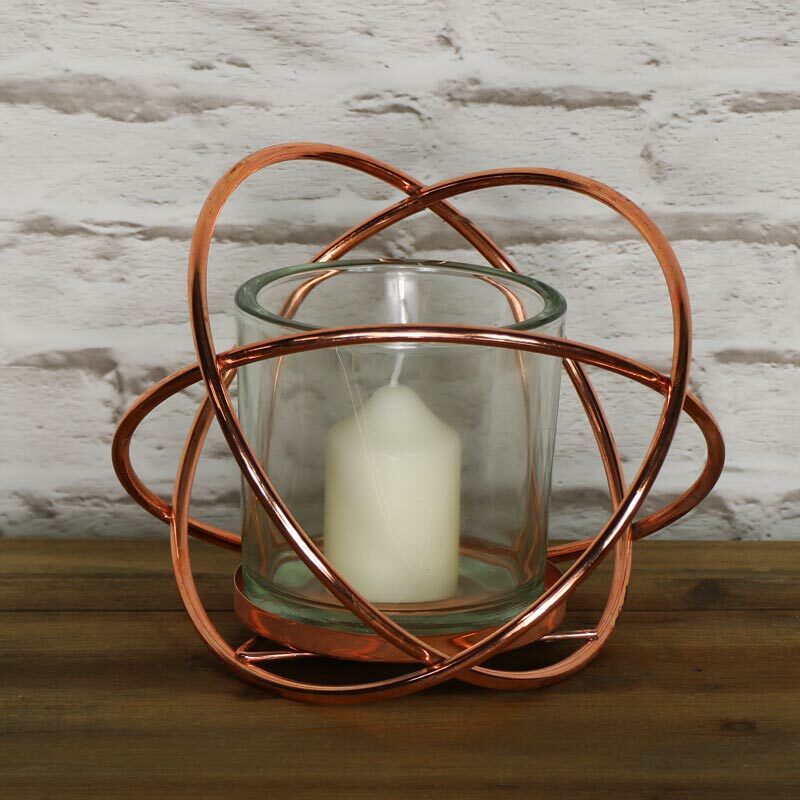 Create a warming atmosphere in your home with the addition of this stunning candle holder. Glass candle holder inside a large rose gold metal frame. This will make a beautiful table centre for a vintage wedding. Finished in a rich polished rose gold colour that will catch the light beautifully. This candle holder will make a fantastic centrepiece for a dining table or simply a pretty decorative effect in your living room. The large glass holder sits comfortably inside the frame and will easily hold a large pillar candle. Create a stunning effect in your home. 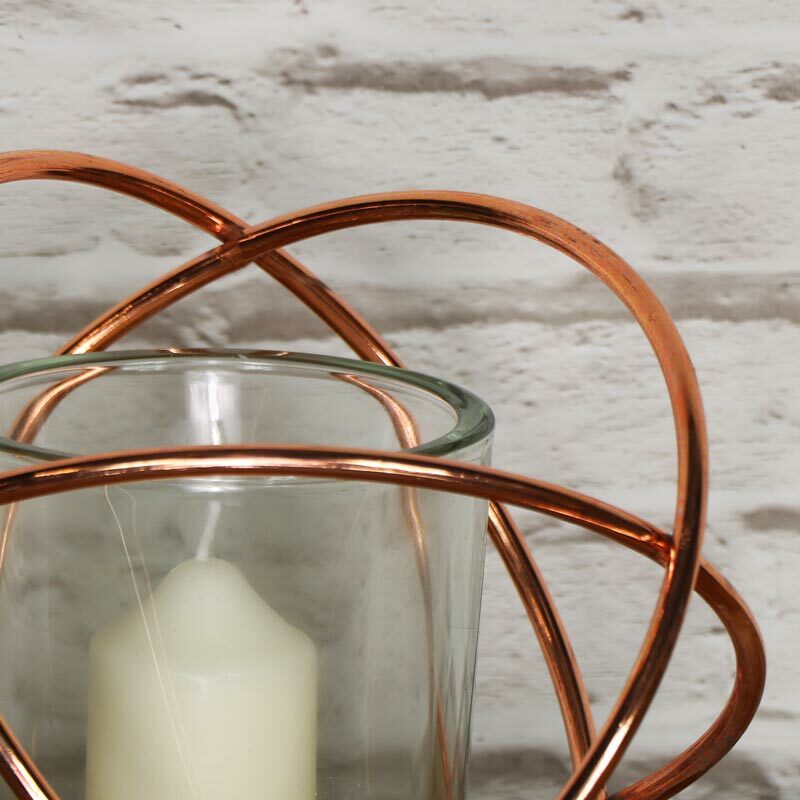 Create a warming atmosphere in your home with the addition of this stunning candle holder. Glass candle holder inside a large rose gold metal frame. This will make a beautiful table centre for a vintage wedding. Finished in a rich polished rose gold colour that will catch the light beautifully. This candle holder will make a fantastic centrepiece for a dining table or simply a pretty decorative effect in your living room. The large glass holder sits comfortably inside the frame and will easily hold a large pillar candle. Create a stunning effect in your home. Metal wire frame painted in a rose gold colour. Complete with glass candle holder and pillar candle.